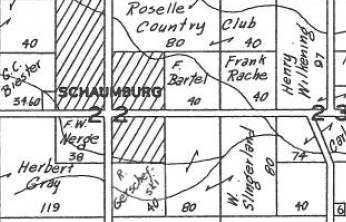 The Schaumburg Township Historical Society will sponsor an open house of the Schaumburg Centre School on Sunday, November 13, 2016. The open house will be held from 9:00 a.m. to 4:00 p.m. 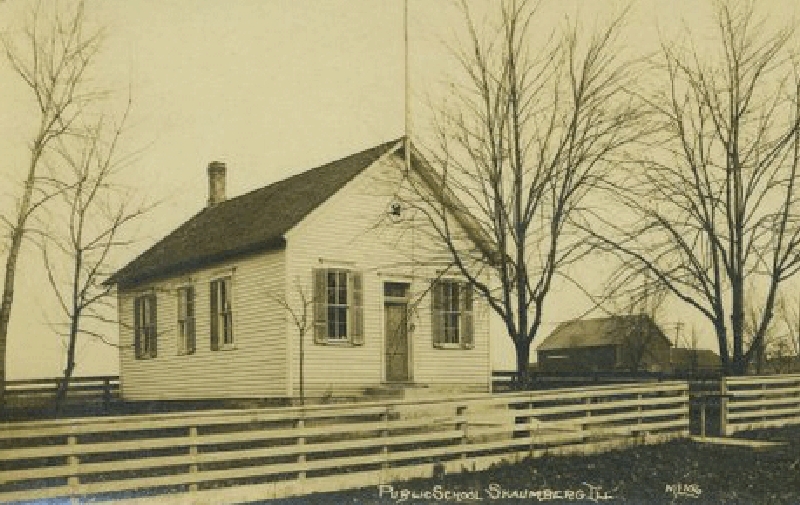 The schoolhouse is located on the St. Peter Lutheran Church property. 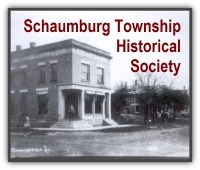 You can check out the Historical Society’s website here. WHERE DID THE HEADS AND FISTS GO? 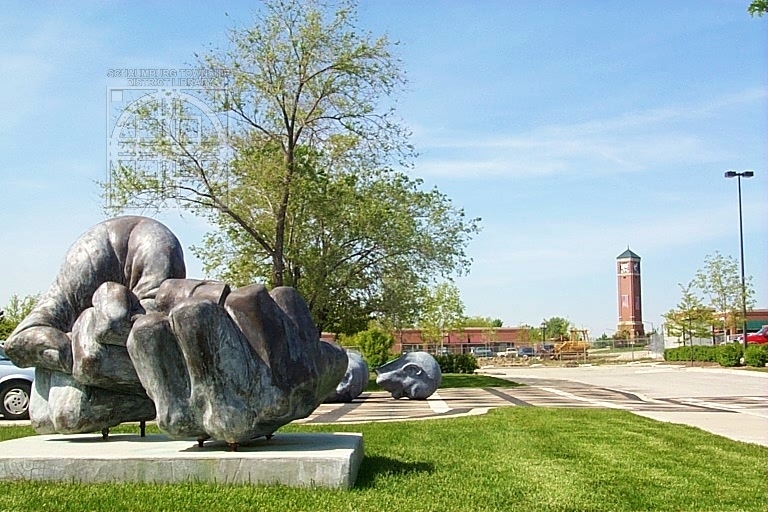 For a four-year period these two sculptures were outside of the Chicago Athenaeum branch in Schaumburg. If you can’t quite place the Athenaeum or are new to the area, this is the current Trickster Gallery in Town Square. The sculptures were large and unusual and a tantalizing place to climb for the kids who visited. They were passed on to the group by Nina Levy, the New York artist who designed them, and erected on the Athenaeum grounds in May of 2000. 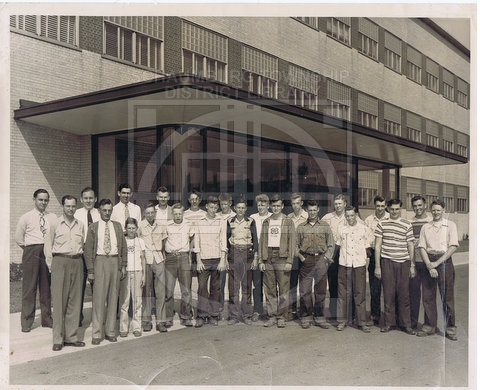 The formal name of the Heads is Merchandise Mart Heads. They were completed in 1993 and were cast in resin and steel. 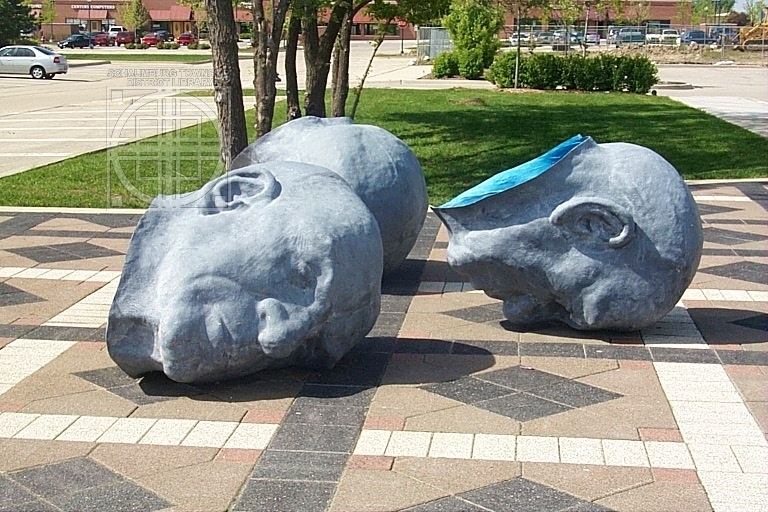 They “are a playful commentary of the 1940’s sculpture at The Merchandise Mart in Chicago.” (This is the famous row of heads of renowned Chicago merchandisers such as Montgomery Ward, Marshall Field and Edward A. Filene that sit on the Chicago River side of the Mart.) Each of the heads shown above is 40 x 38 x 53 and was originally installed at Art Chicago. Holds is the formal name of the clenched Fists. It is made from bronze powder, resin and steel. Each fist is a separate part of the sculpture and together they are 60 x 44 x 40 in size. It was originally installed at the University of Wisconsin at Milwaukee. The answer is that they are currently ensconced at the Chicago Athenaeum’s Galena museum. The Heads can be found on the outside of the museum and the Fists can be found inside. You may visit their website at www.chi-athenaeum.org to see other views. Mystery solved!